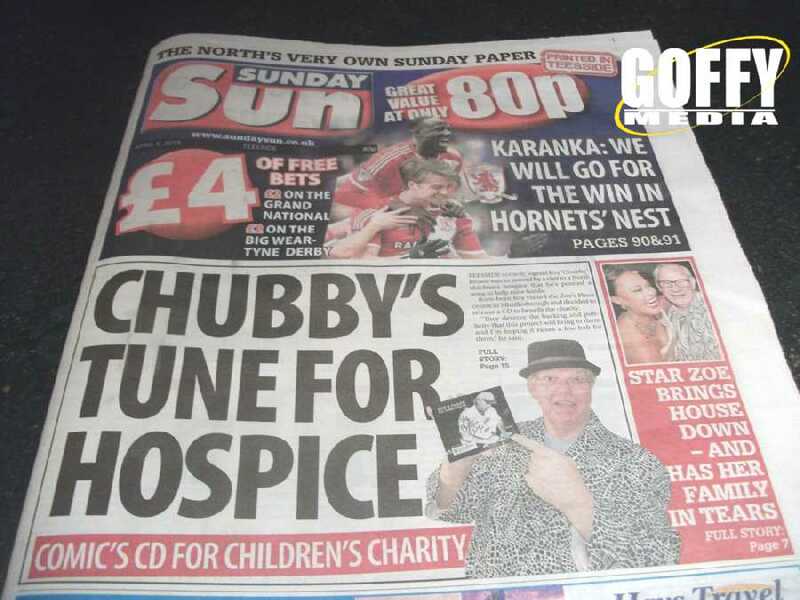 Zoe's Place is a children's hospice in Middlesbrough. 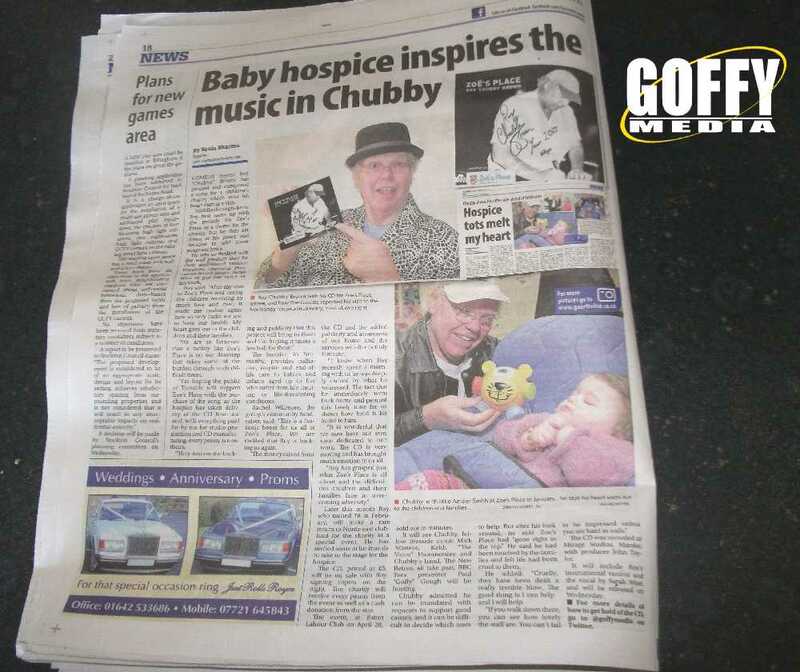 After a visit to the home in 2015, Teesside comedian Roy 'Chubby' Brown was so touched by what he had seen that he was inspired to compose a heartfelt song called "Zoe's Place" to raise money for the charity. 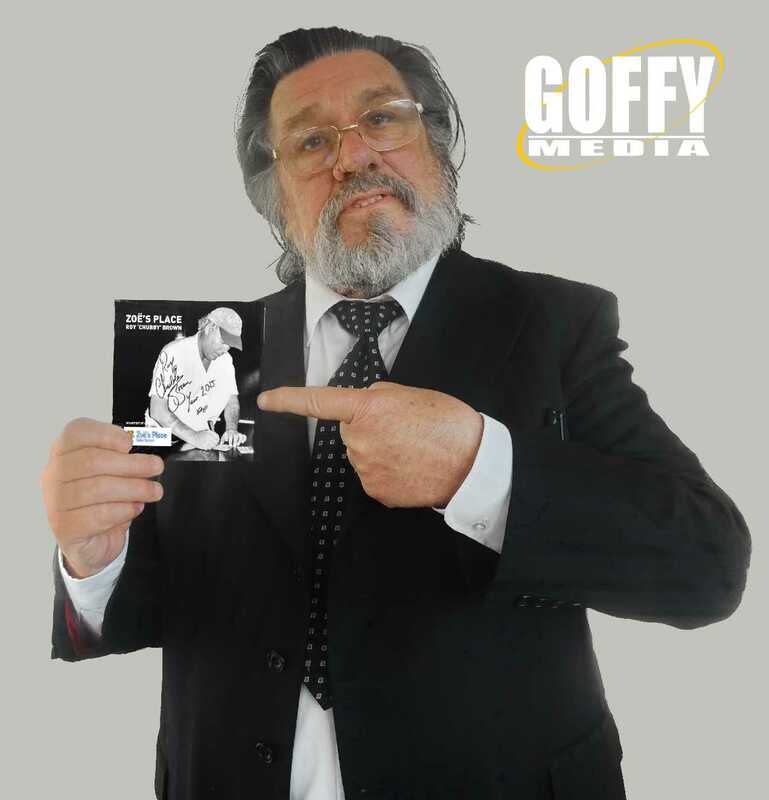 When we sat down with Roy and Zoe's Place staff to discuss the project, it was clear there was no budget for any paid advertising, but we assured them that we could arrange a lot of publicity using our marketing expertise and numerous contacts with celebrities and the media. 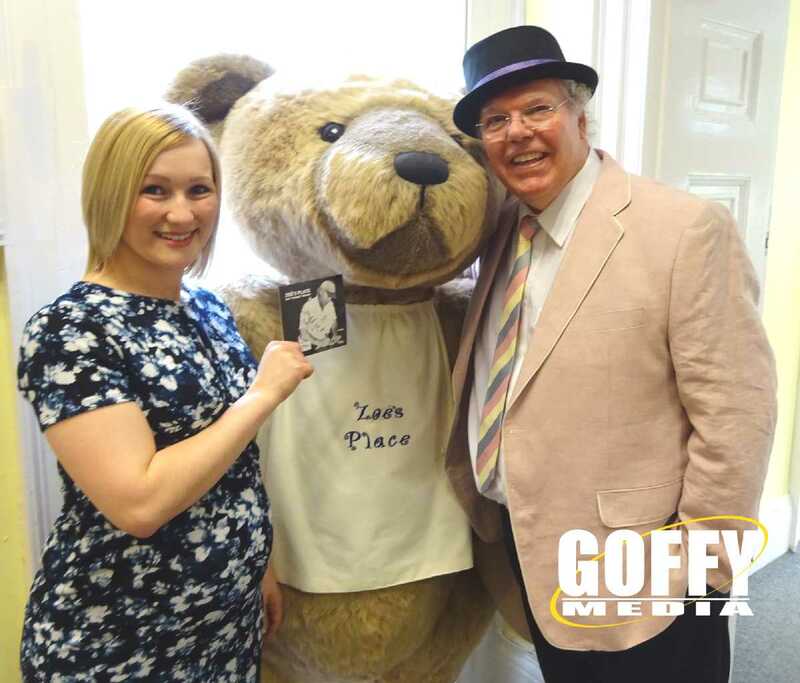 Both Roy and Zoe's Place fundraising manager Rachael Willmore (pictured left) were really delighted with the success we achieved, taking it to a level that they never imagined. We toured the country seeking big names who would lend their support to this project with photos and interviews in the media, some of which are pictured above. This even included a trip to Spain, where we received the backing of ITV's Benidorm producer Derren Litten. 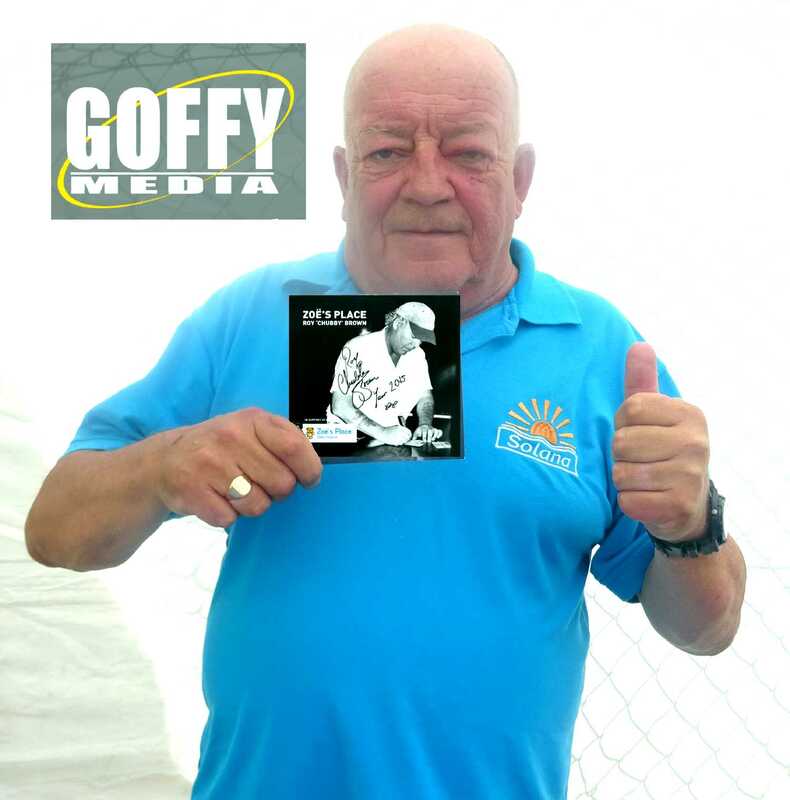 He allowed us access to the stars of the show, and our old friend Tim Healy (pictured right) was delighted to front part of the campaign to further boost the profile of Roy's CD project. 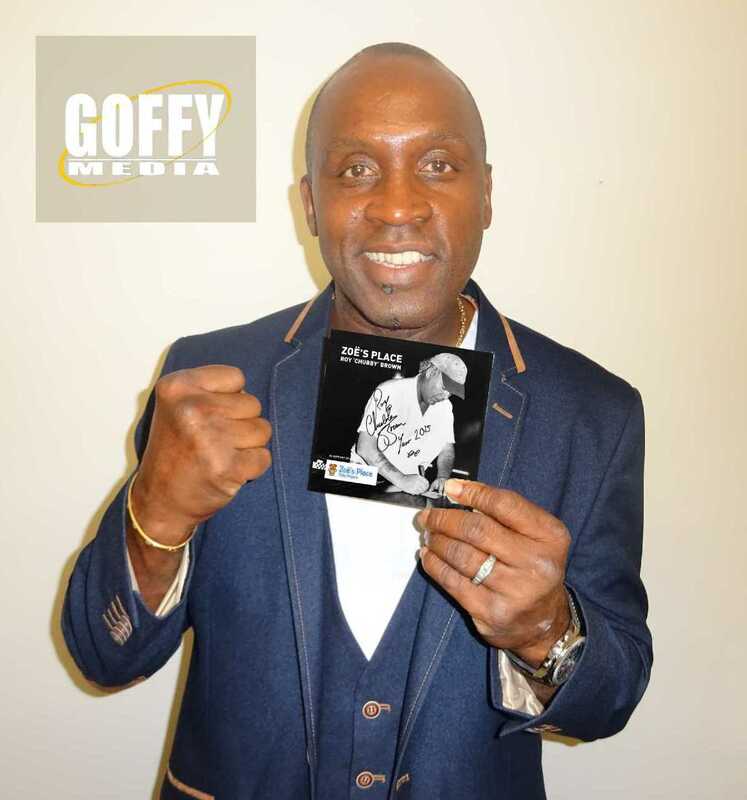 We also organised a special night in Middlesbrough, where the public could come along and meet Roy personally and buy copies of the CD. Tickets for this event sold out in minutes. 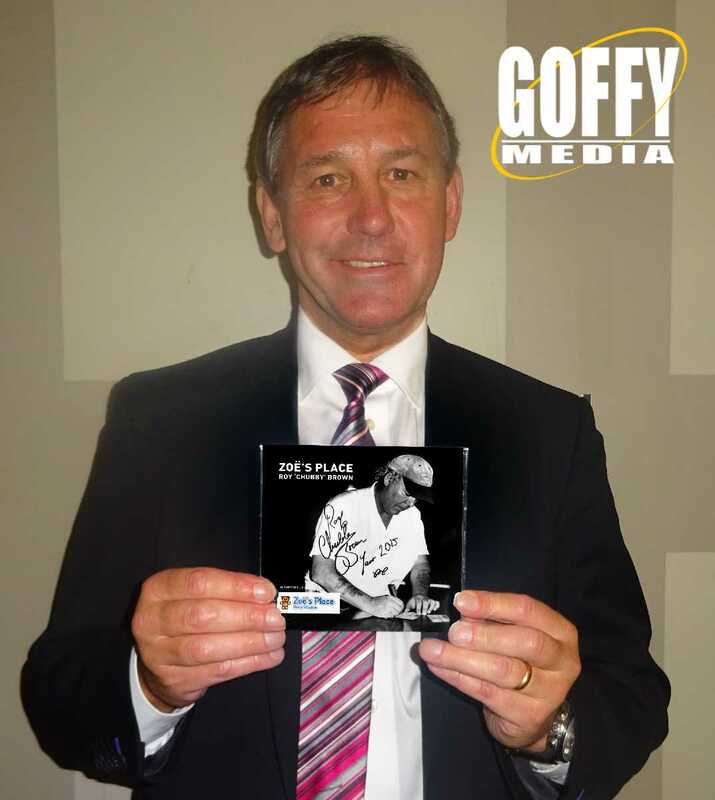 The project has raised thousands of pounds for the hospice so far, and copies of Roy's song are still available by download from the main websites. Below is just a snapshot of some of the written press publicity we secured for the project - click each to enlarge them. 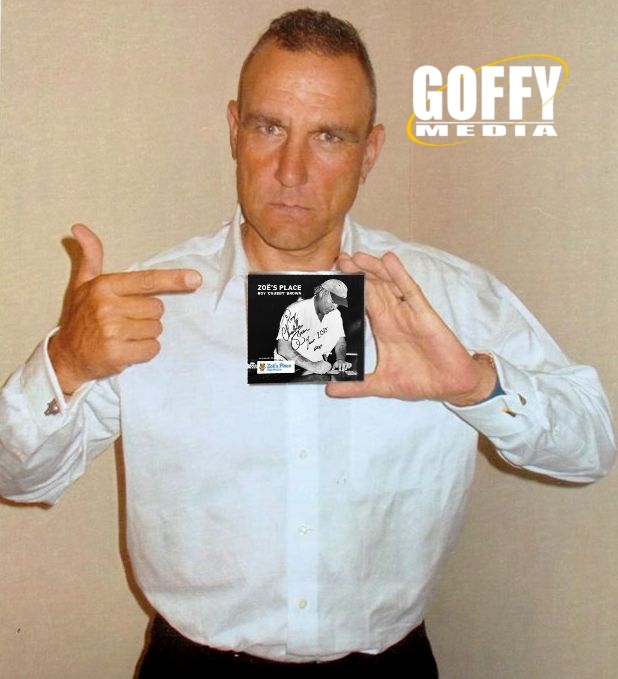 Copyright © 2010 Goffy Media. All Rights Reserved.